Dollars Click Like - Like Button for YouTube and Facebook! Kiev Ukraine March 22 2019: - Smart mirror. Smart mirror with integrated and built-in monitor and Android system. On desktop panels are different widgets. Touchscreen. Widget icons move. Aperture blades opening and closing slowly with a white background in a de-clicked lens. Macro shot. Aperture blades opening and closing quickly with white background in a de-clicked lens. Aperture blades opening and closing quickly with black background in a de-clicked lens. Aperture blades opening and closing with green background in a de-clicked lens. Aperature blades opening and closing slowly in a de-clicked lens. Aperture blades opening and closing slowly with a black background in a de-clicked lens. Macro shot. Aperture blades opening and closing with white background in a de-clicked lens. a man holding smartphone with green screen then clicking on it. Before he clicked he was also holding a cup of coffee. He's on his workplace. Close-up of a female hand on a mouse that controls a computer. Modern technology. Close-up of child hand using mouse computer on wood table. Teen boy working on laptop computer. Closeup view of using a computer mouse, working in the office. 4K. Shop Santa's Favorites button clicked on video, shot close up in several button and background colors, you get multiple buttons in one video. Login button on a web page clicked using a mouse arrow pointer, 100% OK for commercial use, all elements are open source. Single clip gets you 12 versions of colors and background. 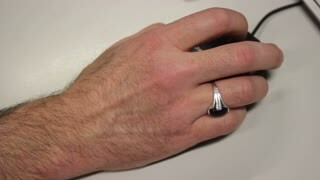 Computer mouse being moved and clicked by male hand.